Let’s start with the bad news. There is an informal club called the Bel Air Circuit and you’re probably not a member, nor will you ever be invited to join. Founded decades ago by movie moguls including Louis B Mayer and Daryl Zanuck, it’s an exclusive movie distribution service provided by the big Hollywood studios to allow members – mostly industry types – to watch first-run films in the privacy of their own homes. It’s believed that somewhere between 200 and 500 people are on the list. It includes people you’d expect to be there, like Rupert Murdoch, Sumner Redstone (Viacom), Harvey Weinstein (Weinstein Co), Steven Spielberg, George Clooney, James Cameron, Martin Scorsese, John Lasseter (Pixar and Disney Animation chief creative officer) and so on. But one source claims that the group’s members also include less likely cinephiles such as Dr Dre, Prince Saud Al Faisal, Barry Manilow and Phil Rosenthal, creator of Everybody Loves Raymond. First off, as you’d imagine, it’s expensive. 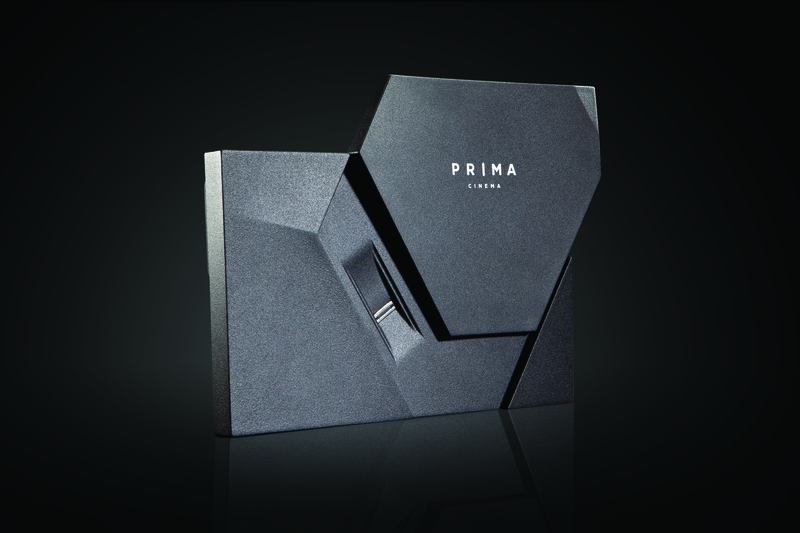 The hardware you need will cost you $35,000 and PRIMA won’t even consider taking your money unless your home cinema’s up to standard. All good so far? If you meet those requirements, the hardware you get is a rack-mountable, four-terabyte hard drive with fingerprint scanner. Films will automatically download to this as soon as they’re available, so if you want to watch one it will be sitting there in its entirety ensuring you never have buffering issues. If you decide to watch a film, it will cost you a further $500. Per film. Unless it’s a 3D film then it’s $600. And if you decide to watch the same film again tomorrow you’ll be charged another $500. You can’t just press play, however. First you need to pass a fingerprint recognition scan to ensure that it really is you. If nothing else, it’s probably a good way of stopping your seven-year-old daughter watching Frozen six times in a row and racking up a huge bill. But it’s also for security that’s required by the film studios: after all, if they’ve spent $150 million making a film they’ll want to protect their product. It also features accelerometer technology that will render the system inoperable if it is moved, so there’s no taking the system to your friend’s house. The studios don’t mind PRIMA, because the security measures to prevent piracy are good and the sort of people who would buy this are not the type who regularly go to cinemas. And just as the 3D films (with increased ticket prices) have resulted in bigger box office takings worldwide, so charging $500 per film will boost income, although Yeager tells us that how studios account for PRIMA varies from studio to studio. PRIMA won’t tell us how many customers they currently have but the aim when they launched was to be in 250,000 homes within five years. What they did tell us was that on average, PRIMA clients view two-to-three films per month. They currently have distribution agreements with 12 major studios including Universal (one of their financial backers), but are continually in talks with others. Currently the service is only available in North America, but this is about to change. “We are going to be exhibiting at Integrated Systems Europe this coming February and would like to be in the EMEA region later in the year,” Yeager says, although he adds that cinema censorship in the Middle East is still being worked out with regards to how the laws apply in this situation. The type of person this is aimed at would probably think nothing of spending $500 to watch a film. They’re spend that on a bottle of wine without blinking and being able to have a cinematic experience at home – minus the other people who ruin going to the cinema these days – is worth it. According to a PWC study, DVD sales saw a 28 per cent drop last year. Meanwhile, digital streaming and (legal) downloads are increasing with PWC projecting that by 2018, digital video will be earning distributors more profits than theatrical box office will. PRIMA is ahead of the curve, albeit at a premium price, but this is the direction the industry is going. Day-and-date viewing of first-run films at home has been seen as inevitable as the time lapse between cinema release and VHS/DVD release has increasingly shortened. But until now, big blockbusters were only in cinemas. You need serious money, but you no longer need to be mates with Harvey Weinstein and the Bel Air Circuit to see the big films at home on its day of release. December 2, 2015 in Business, Film. Who really votes for the Oscars?